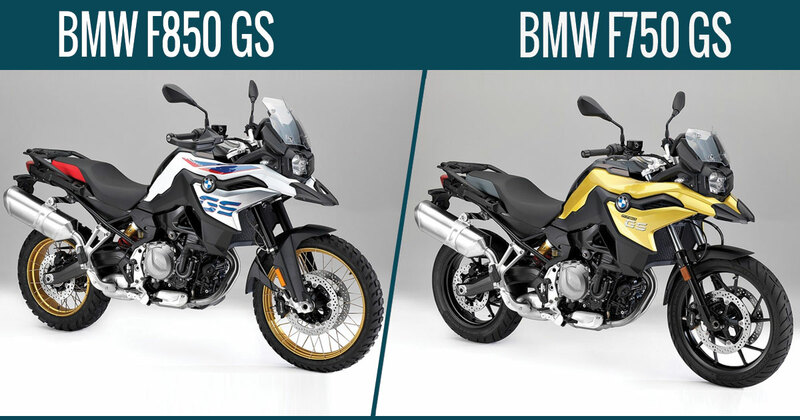 BMW, a Germany-based company, unveiled the new BMW F750 GS and F850 GS at 2017 EICMA show. The twin motorcycles are upgraded to 853 cc engine than a 798cc engine of the predecessor (the F700 GS and F800 GS). In addition to strong engine setup, the bike will be having keen styling features and more instrument setup. BMW F750 GS and F850 GS are powered by the parallel-twin engine which is able to churn out different power figures. The 853cc engine in F750 and F850 can extract out a maximum power of 77 HP along with maximum torque of 83Nm and maximum power of 85 HP along with maximum torque of 92 Nm respectively. As per the manufacturer, the twin motorcycle’s engine is equipped with a diverse firing interval to render a powerful sound. The monocoque frame of the motorcycles is also scaled up. The new F850 gets a fresh upside down 43mm fork whereas F850 gets a novice 41mm telescopic fork unit. Both the bikes get a set of new equipment, an aluminum double-sided swing-arm, and a monoshock suspension. There is also an option to choose BMW’s electronic suspension adjustment(ESA). As a standard model, both the bikes get ACS, ABS, and two riding modes( Rain and Road). The alternative equipment setup has a connectivity’ multi-functional instrument cluster and a full-LED lighting. The bikes come in the middle-weight range and GS adventure models and diverse states of tune.